Murad (Ranveer Singh) goes to meet his mentor MC Sher (Siddhant Chaturvedi). They climb up to a terrace, where our aspiring rapper presents his first song to the (fairly) established one. Sher listens and nods, appreciatively but also cautiously, like a critic balancing encouragement with advice, and says, “What is rap? Rhythm and poetry. Your poetry’s in place. Just needs the right tempo.” To illustrate the point, Sher’s accompanying punter breaks into a quick rendition of the viral song Aur Bantai, grooving and snapping his fingers to point out the peaks in the flow, and Murad’s face brightens up. He’s got it. The choice of reference is apt: Released on YouTube in 2014, Emiway Bantai’s instantly catchy track was one of the early breakout hits of the Mumbaiya/Gully rap scene, gathering buzz alongside Naezy’s Aafat and Divine’s Yeh Mere Bombay. Collectively, these songs, steeped in local lingo and ethos but also infinitely aspirational, heralded a new cultural collusion in India. Technically, the country’s brush with hip-hop traces back into the last two decades, at least, but there was something new and inflammable happening with these songs. And it had as much to do with their abrasive, socially-charged narratives — of people and poverty, disparity and disenfranchisement — as it did with the medium enabling them. 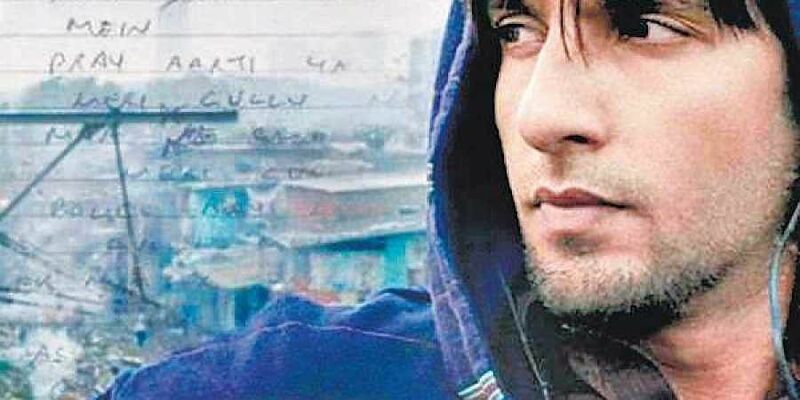 Zoya Akhtar’s mostly satisfying tribute to this phenomenon, Gully Boy, acknowledges this distinction with a nice nod: ‘Roti, Kapda Aur Makaan,’ Murad spray-paints across a wall covered with advertisement flyers, and cheekily adds, ‘+ Internet’. Later in the film, he whips out his phone and angrily crams it into his father’s face. “Four lakh people have viewed my song. It must mean something.” This is a familiar underdog story repackaged in a new, real setting, and so much of the film — like Murad’s early attempts at rap — is a balancing act. With the aid of cinematographer Jay Oza, a brilliant ensemble and an inspired soundtrack, Zoya lands firmly on her feet. The images and characters of Gully Boy look consistently lived-in, despite the storytelling flaws. There’s an aerial shot of Dharavi where a street is lit up so bright, it resembles a lava flow — a constant metaphor for the yearning spirit of rappers. Angst and authenticity is the core contention of underground culture — Zoya understands and acknowledges this — and finds clever ways to cover her tracks (the Adidas t-shirt Murad wears is revealed as ‘fake’, and why wouldn’t a popular beer brand fund a big-ticket rap contest?). Ranveer Singh is stirringly understated in the film. Bits of his dialogues initially falter — the colourful slang ‘yere chale’, meaning crooked ways, sounds jarringly flat from his mouth — but the actor makes up with his silences. Ranveer has great fun exploring Murad’s hesitation to go from poet to performer; when told not to lose heart after a rap cipher, he says of his opponents, “Duniya dekhele hai yeh log (These people have seen the world).” There’s also a sharp physicality Ranveer brings to the character. Watching his idol MC Sher perform at a college event, Murad bloats up in awe and excitement, like he's actually being pumped up with energy. Oddly though, this energy is kept at a slow simmer throughout the film, and when it does explode, the impact is less fulfilling than the promise. Murad is invariably on the brink of things, a scavenger ready to pounce but always in need of an external push. Even the slight scar on Ranveer’s right cheek becomes less and less a thing of menace. In contrast, Alia Bhatt, playing Safeena Ali, is always ready to smack. The actor is hilarious and winsome as the aspiring surgeon who socks anyone flirting with her lover. Her arc slows the film down, but Alia makes the most of her scenes. 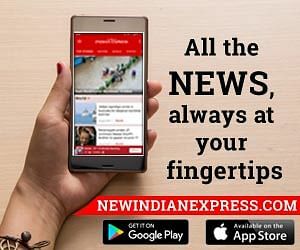 There’s a particularly self-aware moment when Safeena, speaking to the parents of a girl she has just roughened up, announces, “But she sends Murad ‘Valentine’ messages!” Kalki Koechlin appears as music producer Sky; she is the weakest link in the story, a rich girl who — in a haplessly contrived sequence — equates graffiti to vandalism and vandalism to ‘war’. Gully Boy belongs to the three Vijays in the film — Raaz, Maurya and Varma — who flank, shape and score-keep Murad’s life. Marathi actor Amruta Shubhash (unforgettable as the sister in Raman Raghav 2.0) plays mother to the rapper, the locus of his angst. She calls him ‘Ghoda’ in one scene, implying grown-up. Much praise has been showered on the film’s soundtrack, and while there’s no excusing the absence of Kanhaiya Kumar’s Azadi chant in the Dub Sharma track (strangely, the song plays out over a sequence of vehicular theft), credit goes to editor Nitin Baid for stitching it all together. Many of the scenesters make entertaining cameos, and the film remains respectful towards their presence. Yet there’s a constant softening at work. A quip in a rap battle is directed at someone’s 'cousin', not sister. The curse of self-censorship is blamed, smartly, on rapper Kaam Bhari’s height, forbidding contestants to use ‘adult’ language. Murad’s music and words, predictably, are flung at broader notions of class and oppression, shorn of angry specifics. This film generalises a lot, trimming the hedges to make neat narrative rows, bringing the beats to Bollywood. It’s glorious but cautiously so. Those living in Mumbai must’ve noticed the Gully Boy street-art adorning the city's sidewalks. They look like amateurish drawings: angelic wings rising above a hooded sweatshirt, announcing the film’s name. Though the makers are yet to confirm, it’s most certainly a marketing campaign. Yet there’s a simplicity to these paintings that make them look like fan-art: honest, scraggly, immediate. The feeling is well mirrored in the film. It’s ambitious but accessible, mainstream yet not machine-made. The mix is overpowering — the sound of the movies, the voice of the streets.